I’m happy to announce that our new album “Somewhere Along The Way” is ready for download. 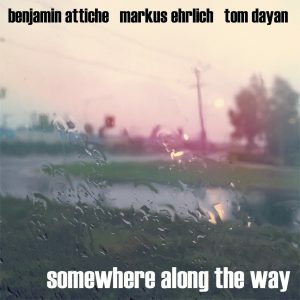 I had the wonderful pleasure to record this CD with the incredible Markus Ehrlich on tenor sax and the remarkable Tom Dayan on drums. We recorded back in 2015 and didn’t get around the mix until now. You may download on iTunes, Google or wherever you normally get your sneeze.